Cuban Carlos Acosta is one of the world's leading ballet dancers and has both the credentials and performances under his belt to prove it. Carlos Acosta is your Connector of the Day. Born in Havana in 1973, Acosta first studied ballet at the Cuban national ballet school and was instantly hailed both within Cuba and overseas as one of the brightest new stars in the dance world. Acosta first came to prominence in the early 1990s and performed with some of the world's leading dance companies in cities in Europe and North America. After finishing a five-year stint with the ballet company in Houston, Acosta moved to take up a position with the Royal Ballet in the UK. Today, Acosta is generally regarded as one of the most influential male dancers of our time. Aged 37, Acosta is still bringing audiences to their feet and is currently in the middle of his very own production called "Carlos Acosta Premieres." "Premieres" is a collection of five daring and dramatic works that are brought together for the first time in dance history. The production is currently playing at London's Coliseum until August 7, 2010. Here's your chance to quiz one of the world's leading dance stars. Do you want to know about his journey from Havana, Cuba to London? Maybe you want to know how he feels about modern dance today? Please leave your questions for Carlos Acosta below. What is your opinion on Heroin, Cocaine, Marihuana(Cannabis) and Prescription Drugs(medication) Addiction in the Ballet Dance World? My question is: Having experienced many different countries & cultures in all your travels, what keeps you coming back to Cuba? Despite the lack of certain rights & freedoms, what separates Cuba from the other countries you've visited? – What and/or who was your inspiration growing up? – What advice would you give to young ballet dancers dreaming of following in your footsteps? – Its clearly a great step forward in the ballet world to have a work like "Premieres" on this world stage – tell us how it came about? – Tell us what its like working with prestigious ballet companies including the Royal Ballet? – What is your favorite part to play and why? – You're well know for sharing the stage with Tamara Rojo, making you somewhat of a 'dream team' – tell us a little more about the magic chemistry you both share on stage. Are there any more young and upcoming male ballet dancers in Cuba? As a Cuban-American living in Brooklyn, I'm very proud to see such a celebrated dance star emerge from Cuba. I always try to explain to people how Cuba leads the world's culture in music and dancing due to Havana's more than five century long history as a world metropolis. So many musical and dance genres from Europe and from Africa are preserved in our land. As a ballet star you are bringing a traditional European dance form to today's youth and that is a wonderful thing. It is very important to preserve such important traditions so they never fade out. That said, my question to you is, how do you feel about preserving the beautiful dancing traditions of Africa that still exist in Cuba today such as the dances of the Yoruba and Carabal people? These traditions are quickly fading in Africa but remain endemic in our land. Don't you think it is important to share with people these beautiful forms of African "ballet" so that they can be preserved for future generations all over the world? 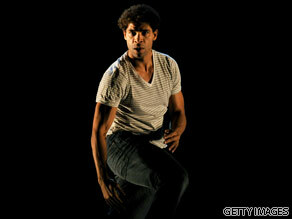 May I please have a refund for the 2 tickets I purchased for last Saturday's performance of 'Carlos Acosta Premieres'? While I am a huge fan of your work and past performances (at the Royal Ballet), I was very disappointed with this new production. According to the UK press, so were others including the dance critics. Sorry for the negative comment but this otherwise supporter is feeling let down. Hardly been able to see any of your performances, just via youtube, but still you impress me so. Just hope you keep growing as a performer, because that's where dance is heading – performances and body acting and more. Wanted to ask you: Why not make more dance films so that a greater audience is able to enjoy the wonderful world dancing projects????? BTW- where do I look for the answers to these quizzes?? haven't read the first one yet. LOVE and SUCCESS to you Carlos!!! As a child you came from humble surroundings where other activities like football were more popular than ballet. How would you make ballet more accessible so that children from similar lives can pick up ballet. Both in your home country as well as around the world and especially in London where you danced with the Royal Ballet. I enjoyed reading your autobiography, and had the pleasure of seeing you in Spartacus PDD as well as Les Bourgeois (Loved it!) at the Havana Ballet Festival in 2008. Thanks for the beauty and joy that you bring to so many people with your dancing. Do you think you would return to Cuba in the future as Artistic Director or other capacity, of the Ballet Nacional?